Also check out a smaller variant of this pistol, the 92 Compact With Rail, which is available in a Bruniton finish or in Stainless Steel. 3-Dot sight system, for quick and natural target acquisition. Engage/disengage the safety with either hand or experiment with different tactical ways to operate the controls. 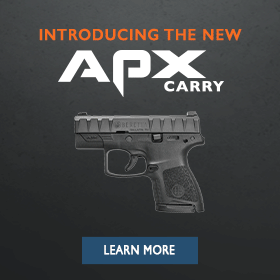 Execute quick tactical magazine changes without fumbling and without losing precious seconds. The checkering on this combat pistol is crisp and positive, affording the hands a secure purchase of the weapon in all weather situations--and even while wearing gloves. The combat trigger guard on the M9A1 is optimized for best placement of the off-hand, as well as for ease of reholstering. A modern combat pistol should not require a variety of tools to disassemble. A simple twist of the disassembly latch will enable you to field-strip your M9A1; after cleaning, the pistol is just as easy and intuitive to reassemble. 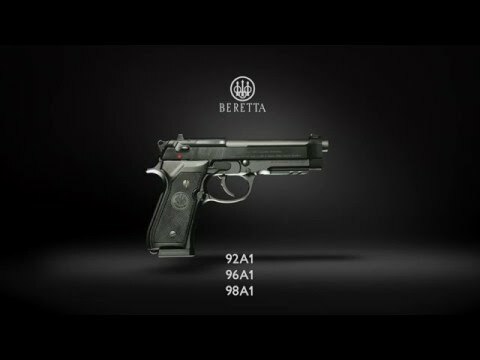 The M9A1 features an external hammer, as do most of Beretta combat pistols. The Bruniton finish has two main advantages: it is non-reflective, and it is designed to withstand powder, rain, sand and corrosion almost as well as stainless steel. The renown Beretta open-slide design makes the firearm lighter, but most importantly it is known to minimize malfunctions--and stove-piping in particular. Easily equip your M9A1 with a variety of sighting and lighting tactical accessories without any gunsmithing or modifications to the firearm. Depending on whether you are right- or left-handed (or even on whether you are training with either hand on a particular day), you can easily reverse the mag-release control.